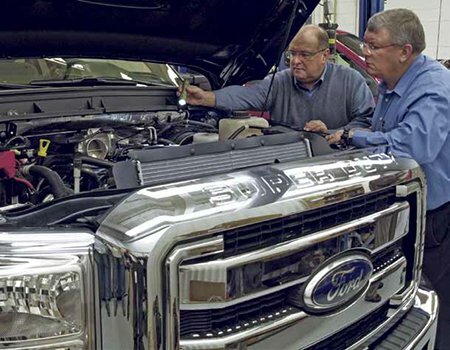 YOUR SERVICE CENTER FOR YOUR FORD DIESEL! WE KNOW WHAT YOU NEED AND HOW TO DO IT! Recommended services maintain your vehicle according to specific driving conditions of the Gulf Coast regional (additional cost). We are factory authorized to perform all warranty repairs on any of your Ford vehicles. Prices vary according to model – see your specific model information. *Synthetic fluids extra.